Let us build your kids next dream bike! 23.88 pound Maxwell 24 with FOX 26” suspension fork. The FOX 100mm 26” fork is only about 15mm taller than the RST Snyper on our stock builds so it works great. This is a full XT level build. Another custom build using a FOX fork, this one 120mm travel. We dubbed this the “Long legged Maxwell 24 Trail bike. Full XT, just 23.15 pounds without pedals. Color is Deep Orange with Blue decal. 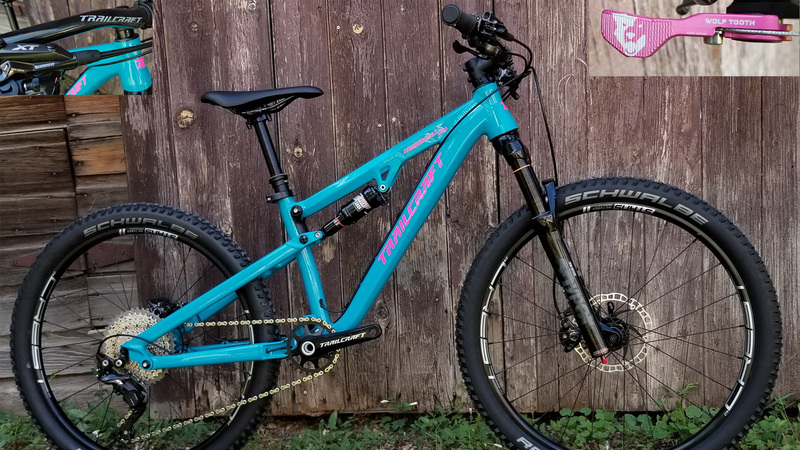 Blue FOX decals and anodized bits really tie this bike all together for a premium level high performance 24” trail bike. All Maxwell series bikes have stealth dropper routing, and this XT level bike got a FOX Transfer and Limited Edition Pink Anodized Wolf Tooth ReMote lever to tie it all together. Because if you don’t look good, we don’t look good, right? Total bike weight just 24. 5 pounds WITH dropper. Limited edition matte Black with blue decal! This is our stock 24.25 pound Pro Deore level build but we only had a small handful sprayed in this finish. Contact us if you are interested, we *might* have one or two left. We stock Schwalbe Hans Damph’s if you want a more gravity build. This is our stock Pro Deore level build with bigger rubber. 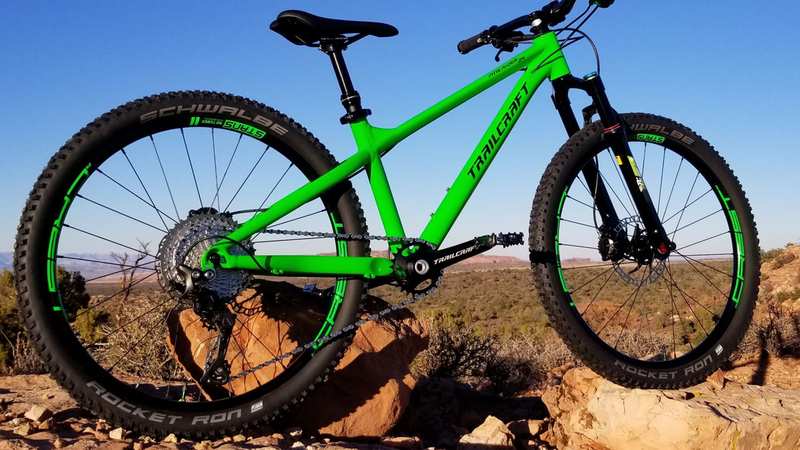 These tires add close to 2 pounds to the bike weight (785 grams per tire) so keep that in mind if your ripper plans on climbing as much as descending. This Maxwell 26 was a custom build for River in Sedona, Arizona. 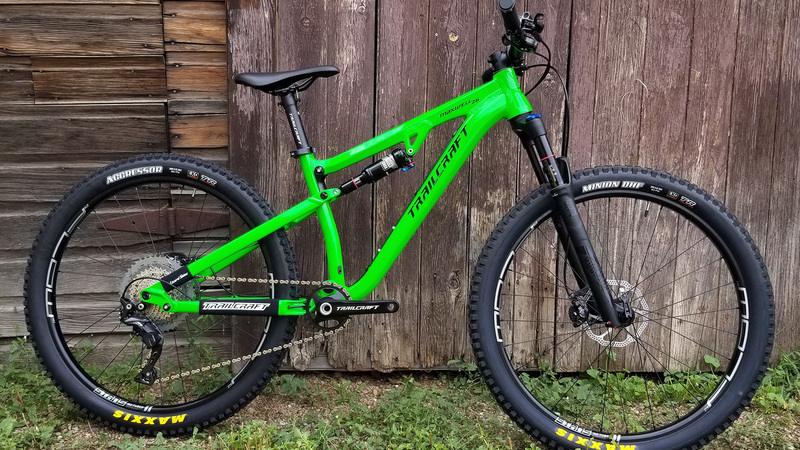 Coming in at just 22.7 pounds, this one features a Fox Stepcast fork, Stans Valor Carbon wheelset, and XT components package. See this bike in action here. 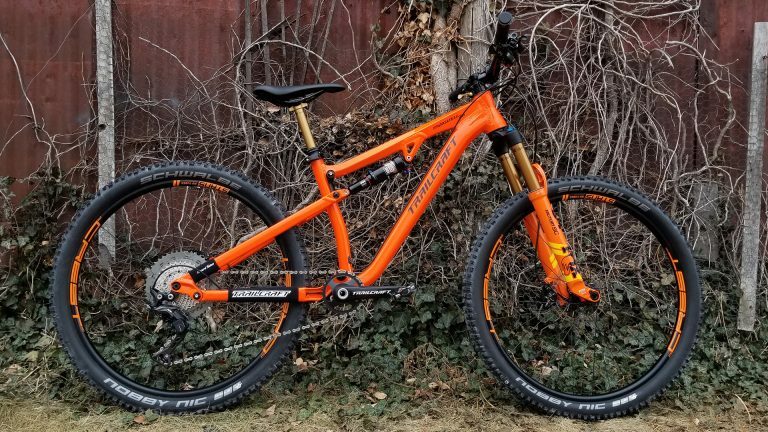 Blake asked us to build him an Enduro bike for racing the mountain west enduro series. He’s a little dude at just 60 pounds (super wet!) so a light weight machine was important, as were durable tires. Full XT and we put Maxxis Aggressors F/R on this bike to handle the rocky stuff in Colorado, Arizona, and Utah. 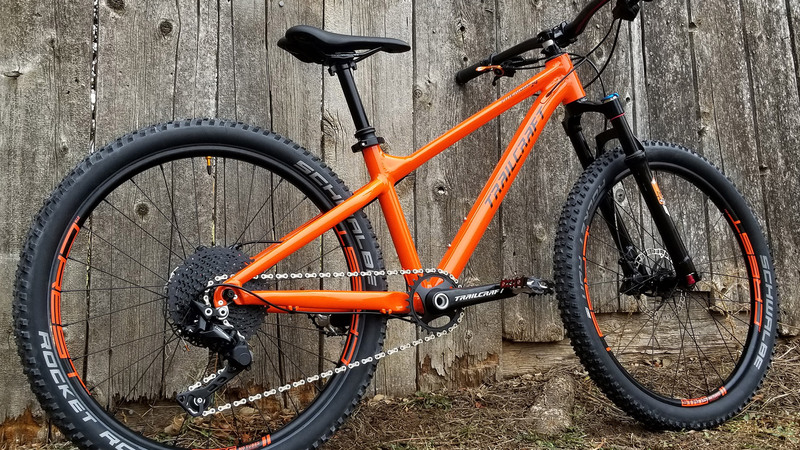 Bike with pedals (set up tubeless) just 26.15 pounds. See Blake winning the 2018 Gunnison Enduro here. This custom Maxwell 26 lives in Woodland Park, Colorado. 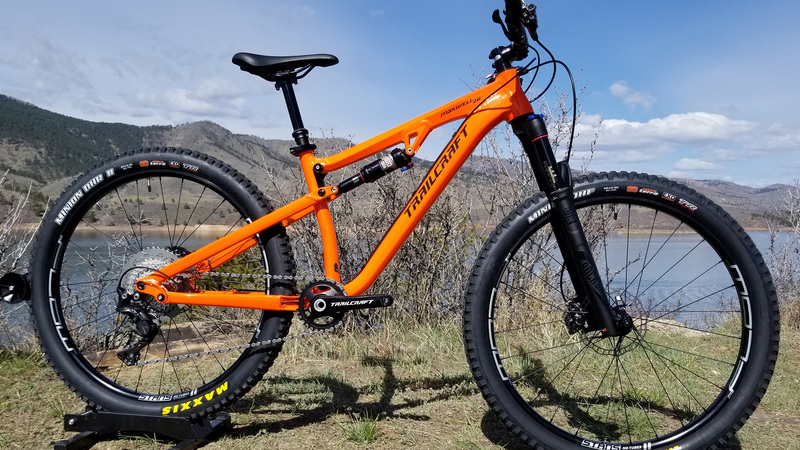 Cody wanted a light weight trail machine which was could handle the lung busting climbs of Colorado, yet still be able to handle the bike parks of Trestle, Keystone, and Steamboat Springs. 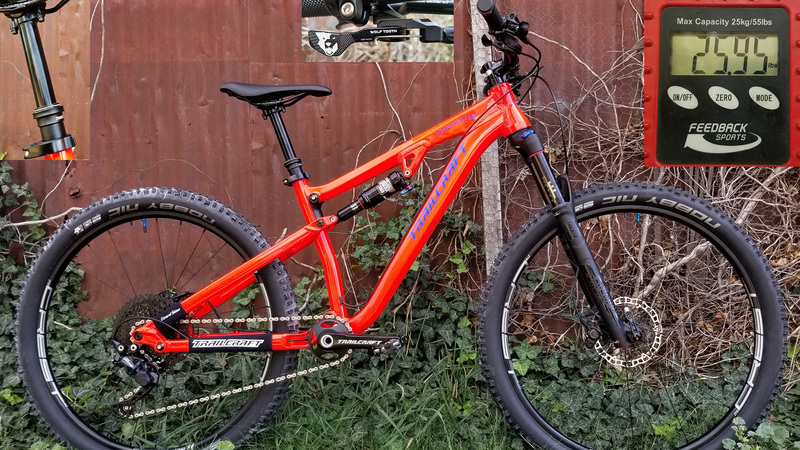 Full Deore 10 speed with a 11-46 and 26t ring, Nobby Nic 2.25’s (set up tubeless), FOX Transfer 100mm dropper and Wolf Tooth ReMote control dropping duties. Just 25.95 pounds with pedals! Finley is a girl who shreds right along her two older brothers, and her 31 pound 24” bike was holding her back. Living in Crested Butte, she’s got bike park opportunity out her back door – literally. 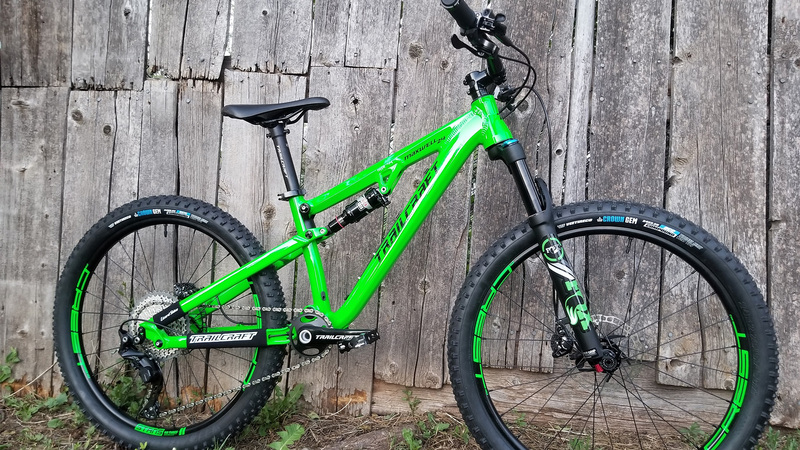 We built this one with FLOW wheels, Maxxis DHF up front, Aggressor out back and set up tubeless. 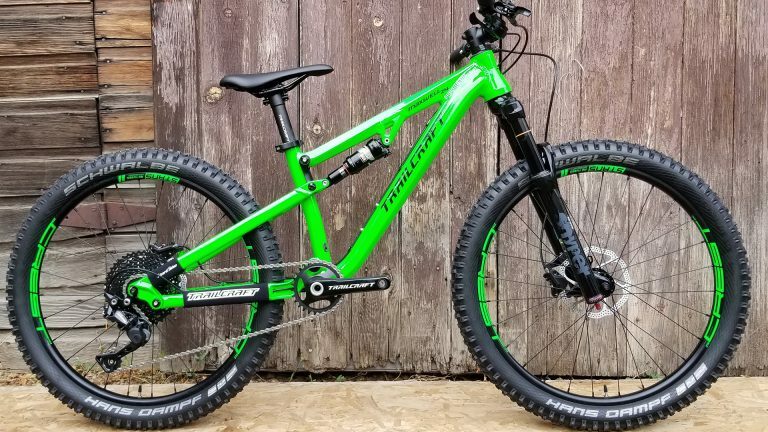 An 11-46 XT level build and 28t ring up front keeps her moving uphill just as well as downhill. This bike came in at 27 pounds - 4 full pounds lighter than her 24” bike with less travel! Junior BMX superstar Carson Allen (@cjbeast17bmx) needed a bike to handle sending it through the dirt jumps in the trees and also the gnar of the bike park. Full XT 11-46, 30t ring up front, Flow MK3 wheelset, DHF/DHR II rubber combo and Fox Transfer with Wolf Tooth ReMote handle dropping the saddle. Just 27.55 pounds. See Carson in action here. 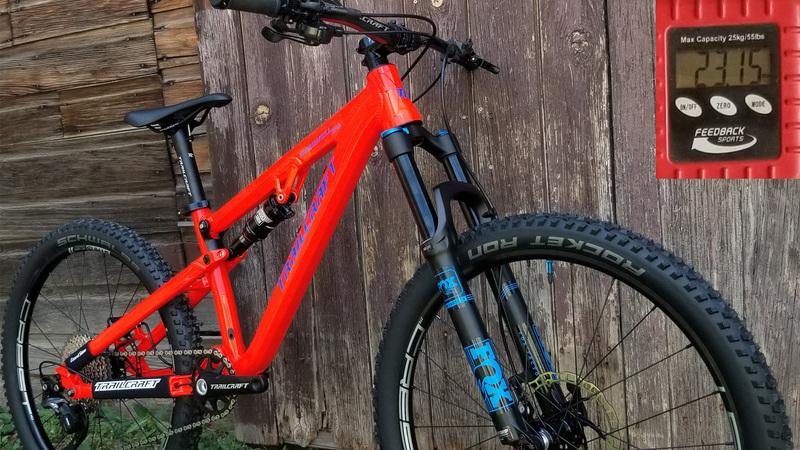 An impressive Maxwell 26 build for a little ripper in Issaquah, Washington! Full Kashima Fox, including a LTD Wold Tooth GOLD ReMote to make this already pro build even higher on the bling scale. Features include FOX Stepcast 34, FOX Transfer Factory dropper post, full XT build kit. See more here on our Instagram page. 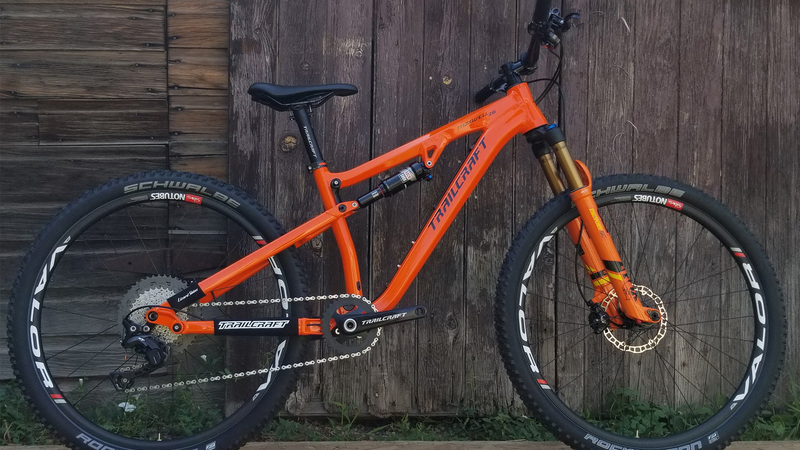 Our Pineridge 24 Pro Deore Level build set up with a FOX Transfer Dropper post, LTD orange anodized Wolf Tooth ReMote dropper lever and Trailcraft Carbon bars. Total weight is a scant 21.08 pounds set up tubeless, weight is including pedals! More pics here on Instagram. Pineridge 24 Pro XT with KS Lev SI 75mm dropper. 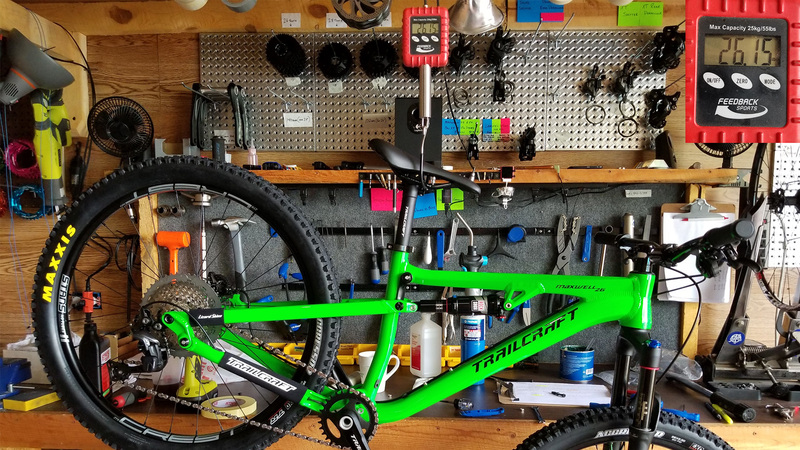 We set this bike up tubeless, installed our Trailcraft Pro Carbon bar. Total weight with dropper and pedals just under 21 pounds! More pics here. Ready for a Custom Trailcraft Build?